SKODA OCTAVIA II 2004 - 2013. THIS COVER WILL FIT SKODA OCTAVIA 2nd GENERATION ( Typ 1Z)FROM 2004 - 2013. Motorcycle seat strap cover. YOU WILL HAVE TO STITCH THIS COVER BY YOURSELF. THIS COVER WILL FIT SKODA OCTAVIA MK2 FROM 2004 - 2012. SKODA OCTAVIA MK2 2004 - 2012. Motorcycle seat strap cover. RANGE ROVER. VERY HIGH QUALITY CUSTOM MADE FITS PERFECT LIKE A GLOVE HANDCRAFTED WITH TOP GRAIN LEATHER. 3T2713123A WZI / 3T2 713 123 A WZI. DSG GEARSTICK GAITER/KNOB. ONLY SUITABLE FOR DSG AUTOMATIC MODELS. New genuine Skoda part! Only suitable for RHD (right hand drive) models. SUPERB (3T) model years 2008 >> 2015. THIS COVER WILL FIT SKODA OCTAVIA MK2 FROM 2004 - 2012. SKODA OCTAVIA MK2 2004 - 2012. RANGE ROVER. VERY HIGH QUALITY CUSTOM MADE FITS PERFECT LIKE A GLOVE HANDCRAFTED WITH TOP GRAIN LEATHER. Motorcycle seat strap cover. Before fitting a part its always best to compare them for part numbers markings shape etc. THIS COVER WILL FIT SKODA YETI 1st GENERATION FROM 2009 - PRESENT. SKODA YETI 2009 - PRESENT. STANDARD VANGUARD. HANDCRAFTED WITH TOP GRAIN LEATHER. Motorcycle seat strap cover. THIS COVER WILL FIT SKODA OCTAVIA MK2 FROM 2004 - 2012. SKODA OCTAVIA MK2 2004 - 2012. VERY HIGH QUALITY CUSTOM MADE FITS PERFECT LIKE A GLOVE HANDCRAFTED WITH TOP GRAIN LEATHER. Motorcycle seat strap cover. A Pair of seat lever inserts for a Skoda VRS. VW Golf 5 V Golf 6 VI MK5 MK6 GTD seat inserts alloy trim cover TDI GTI TSI GT W. VW Golf R LINE 5 V Golf 6 VI MK5 6 seat inserts alloy trim cover. Volkswagen Seat Lever Inserts. THIS COVER WILL FIT SKODA FABIA II MK2 FROM 2007 - 2014. SKODA FABIA II MK2 TYP 5J 2007 - 2014. Motorcycle seat strap cover. VERY HIGH QUALITY CUSTOM MADE FITS PERFECT LIKE A GLOVE HAND CRAFTED WITH TOP GRAIN LEATHER. THIS COVER WILL FIT SKODA SUPERB 2nd GENERATION (B6 / Typ3T)FROM 2008 - 2015. SKODA SUPERB MK2 2008 - 2015. HANDCRAFTED WITH TOP GRAIN LEATHER. Motorcycle seat strap cover. SKODA OCTAVIA II 2004 - 2013. 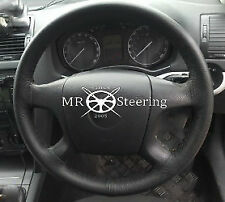 THIS COVER WILL FIT SKODA OCTAVIA 2nd GENERATION ( Typ 1Z )FROM 2004 - 2013. HANDCRAFTED WITH TOP GRAIN LEATHER. Motorcycle seat strap cover. THIS COVER WILL FIT SKODA FABIA II MK2 FROM 2007 - 2012. SKODA FABIA II MK2 2007 - 2012. Motorcycle seat strap cover. RANGE ROVER. VERY HIGH QUALITY CUSTOM MADE FITS PERFECT LIKE A GLOVE HAND CRAFTED WITH TOP GRAIN LEATHER. THIS COVER WILL FIT SKODA ROOMSTER FROM 2006 - 2012. SKODA ROOMSTER 2006 - 2012. Motorcycle seat strap cover. YOU WILL HAVE TO STITCH THIS COVER BY YOURSELF. HANDCRAFTED WITH TOP GRAIN LEATHER. Skoda Fabia Door Sill Guards / Protectors - Set of Four (KDA700001). 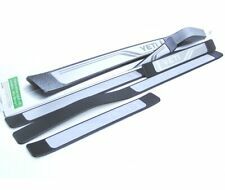 The Skoda Fabia Door Sill Guards / Protectors are supplied as a Set of four. Supplied with full fitting instructions the Skoda Fabia Door Sill Guards / Protectors are quick and easy to fit as they are simply stuck into place by peeling off the self adhesive backing. PART NUMBER: 5E2711113. SKODA OCTAVIA. GENUINE 2014 - 2019. DOES HAVE SCRATCHES MARKS DENTS OR AND AGE RELATED WEAR. We are much cheaper than the MAIN DEALERS. Air Bag Complete Set. Complete Front end panels. PART NO. 5E0071303. Suitable For : Octavia Saloon 2013>. A welcoming site as you enter your new vehice. Be sure to add us to your favourites. SKODA OCTAVIA II 2004 - 2013. THIS COVER WILL FIT SKODA OCTAVIA 2nd GENERATION ( Typ 1Z)FROM 2004 - 2013. HANDCRAFTED WITH TOP GRAIN LEATHER. Motorcycle seat strap cover. THIS COVER WILL FIT SKODA SUPERB 2nd GENERATION (B6 / Typ3T)FROM 2008 - 2015. SKODA SUPERB MK2 2008 - 2015. Motorcycle seat strap cover. YOU WILL HAVE TO STITCH THIS COVER BY YOURSELF. 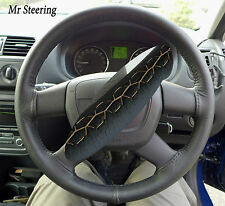 THIS COVER WILL FIT SKODA RAPID [ NOT SUITABLE FOR SPORT STEERING WHEEL ] FROM 2011-2016. THIS COVER WILL FIT SKODA ROOMSTER FROM 2006 - 2012. SKODA ROOMSTER 2006 - 2012. HANDCRAFTED WITH TOP GRAIN LEATHER. Motorcycle seat strap cover. Instructions and accessories ( THREAD AND NEEDLE ) included. SKODA OCTAVIA MK2 2004 . And what you will receive is only the leather part. Black leather with grey stitching. THIS COVER WILL FIT SKODA FABIA MK2 II FROM 2006 - 2014. SKODA FABIA II MK2 2006 - 2014. VERY HIGH QUALITY CUSTOM MADE FITS PERFECT LIKE A GLOVE HAND CRAFTED WITH TOP GRAIN LEATHER. Motorcycle seat strap cover. THIS COVER WILL FIT SKODA OCTAVIA MK2 FROM 2004 - 2012. SKODA OCTAVIA MK2 2004 - 2012. Motorcycle seat strap cover. VERY HIGH QUALITY CUSTOM MADE FITS PERFECT LIKE A GLOVE HANDCRAFTED WITH TOP GRAIN LEATHER. 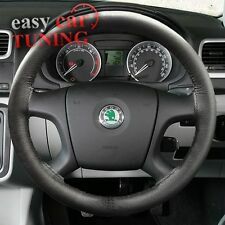 SKODA CITIGO 2011 - 2016 NOT SUITABLE FOR SPORT STEERING WHEEL. THIS COVER WILL FIT SKODA CITIGO [ NOT SUITABLE FOR SPORT STEERING WHEEL ] FROM 2011-2016. A Pair of seat lever inserts for a Skoda VRS. VW Golf R LINE 5 V Golf 6 VI MK5 6 seat inserts alloy trim cover. 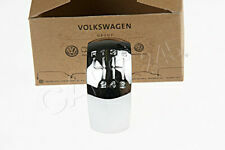 Volkswagen Seat Lever Inserts. Seat Lever Inserts. Supplied with Genuine 3M VHB tape so it stays put! SKODA FABIA MK2 2006-2011. And what you will receive is only the leather part. Black leather with grey stitching. VW Golf 5 V Golf 6 VI MK5 MK6 GTD seat inserts alloy trim cover TDI GTI TSI GT W. A Pair of seat lever inserts for a Skoda VRS. GOLF KEYRING CAR MK1 GTI. VW Golf R LINE 5 V Golf 6 VI MK5 6 seat inserts alloy trim cover. THIS COVER WILL FIT SKODA OCTAVIA 1st GENERATION ( Typ 1U)FROM 1996 - 2004. SKODA OCTAVIA I 1996 - 2004. HANDCRAFTED WITH TOP GRAIN LEATHER. Motorcycle seat strap cover. SKODA SUPERB MK2 2008 - 2015. THIS COVER WILL FIT SKODA SUPERB 2nd GENERATION (B6 / Typ3T)FROM 2008 - 2015. HANDCRAFTED WITH TOP GRAIN LEATHER. Motorcycle seat strap cover. THIS COVER WILL FIT SKODA FABIA 2nd GENERATION (5J) FROM 2007 - 2014. SKODA FABIA II 2007 - 2014. Genuine Skoda Octavia 1Z door sill tread plates, these are for the front doors only. THIS COVER WILL FIT SKODA OCTAVIA 1st GENERATION ( Typ 1U)FROM 1996 - 2004. SKODA OCTAVIA I 1996 - 2004. Motorcycle seat strap cover. YOU WILL HAVE TO STITCH THIS COVER BY YOURSELF. SKODA FABIA MK2 2006-2011. And what you will receive is only the leather part. Black leather with yellow stitching. 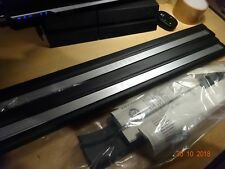 These Skoda Fabia Door Sill Protectors / Guards are supplied in an Black finish as a set of four. The Skoda Fabia Door Sill Protectors / Guards are quick and easy to fit and are supplied with full fitting instructions to allow you to fit the item yourself.